July 17, 2017 — Team members from Oregon State University Housing & Dining Services took home two national awards this week: one for the university's innovative re-usable takeout container program, Eco2Go, and one for a locally sourced pasta dish at Five Four One. The Eco2Go program makes reusable to-go containers standard at all UHDS locations, rather than disposable containers. The program received a Silver level Sustainability Award in the Waste Management category from the National Association of College and University Food Services (NACUFS). Since its inception in 2015, the Eco2Go program has prevented hundreds of thousands of disposable containers from being sent to the landfill. 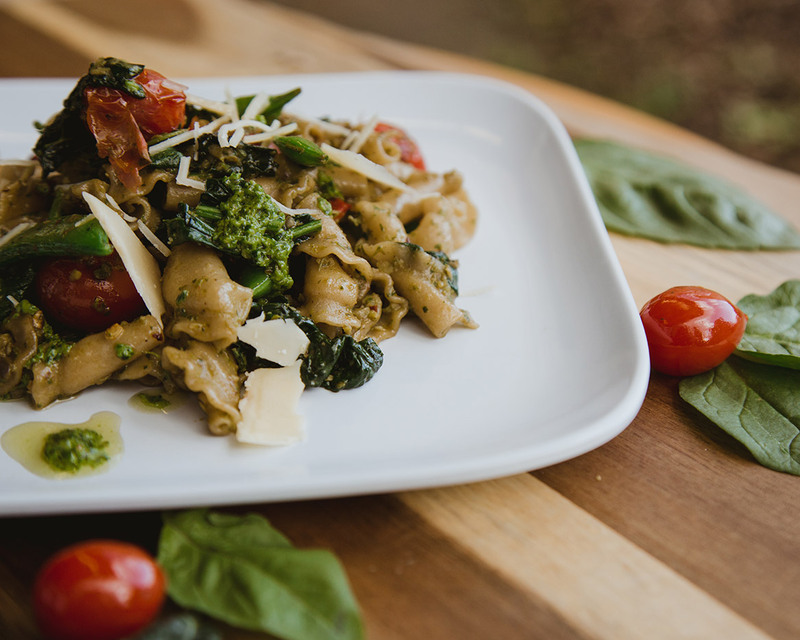 Willamette Valley Pesto Pasta, one of the build-your-own pasta options at Five Four One in McNary Dining Center, was honored for outstanding use of ingredients grown on campus and in the surrounding area. Every component in the dish, from the house-made pasta to the Beaver Classic™ Cheese topping it, includes ingredients sourced either entirely or partially from within 100 miles of campus. The dish received a Bronze level Best Local Foods Award from NACUFS. Five Four One, which was opened in 2015, is a campus microrestaurant dedicated to serving all-organic produce, with a heavy reliance on ingredients from within Oregon and the Willamette Valley. Learn more about Local Food Sourcing.